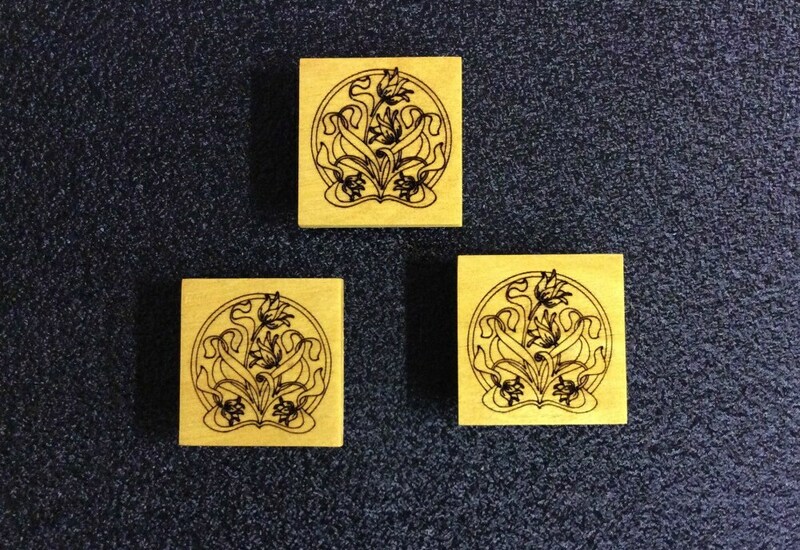 Laser engraved Art Noveau type pattern tulips magnets made of Satinwood or Pau Amerella. We just hate to waste wood that is beautiful and could be used for something other than fire starters in our shop wood stove. 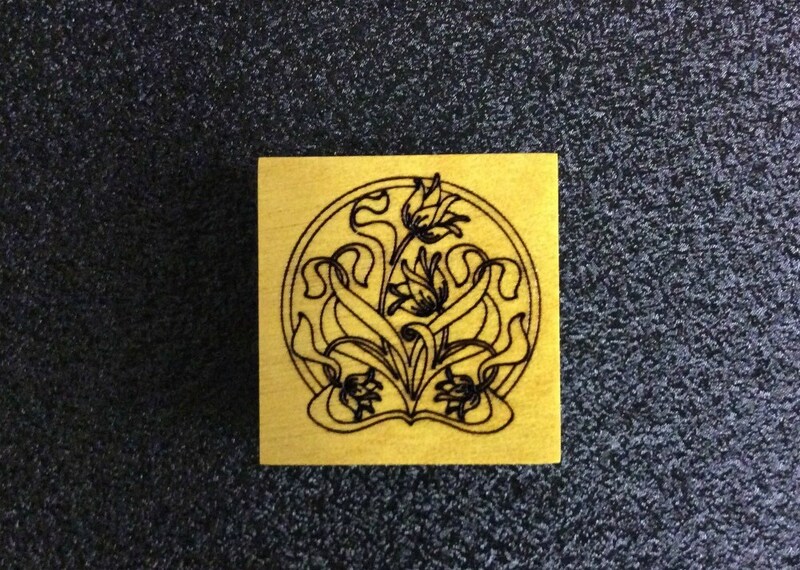 They are approximately 1 1/4" square. Finished with lacquer and then 2 coats of tung oil. We used a grade 5 ceramic magnet for extra strength. The normal shipping method for these little guys will be USPS First Class Mail. Send us a convo should you like a mixed set of these little guys. 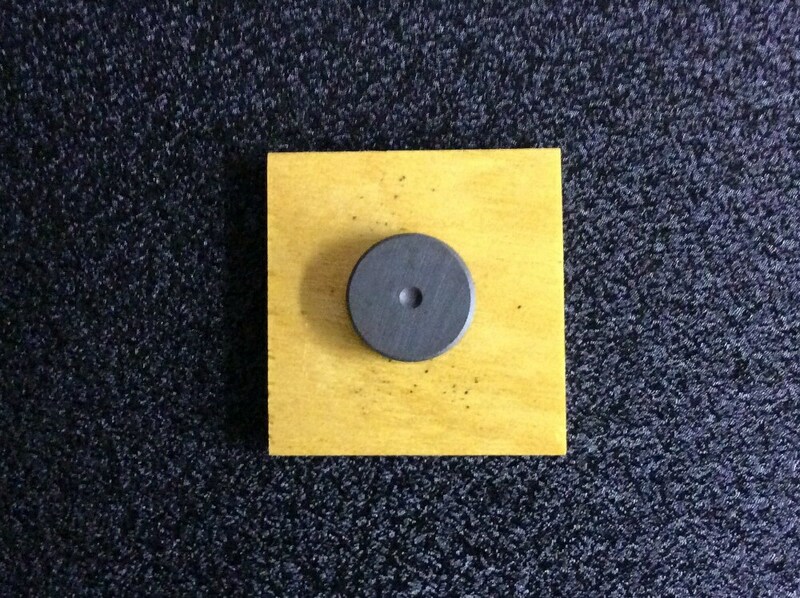 You can see more of the recycled magnets at the following link. Thanks for visiting our shop !